Etsy Under $20 showcases "Affordably awesome handmade and vintage finds from Etsy.com." This post is devoted to all things glittery. 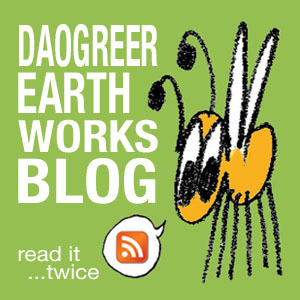 Daogreer Earth Works on Pfeiffer Photos! Tina Pfeiffer of Pfeiffer Photos and ForresTinaVintage has written a lovely little feature about Daogreer Earth Works! The feature is part of her series of "Etsy PDX" interviews on her blog, which highlight artists and crafters from the Portland Metropolitan Area. The questions were fun to answer, and Tina has included a variety of items from my shop interspersed amongst my responses. Check it out!